The Savage Aspect of the Place; New Paintings of Gordale by Katharine Holmes, The University Gallery, Leeds 1999. The title of this exhibition referred to the writing of Edward Dayes in his 1805 ‘An Excursion through the Principal Parts of Derbyshire and Yorkshire’. 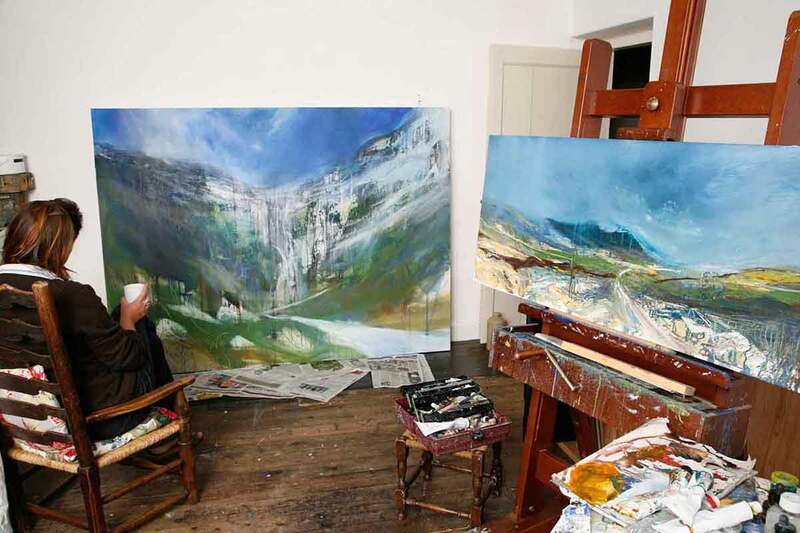 Gordale has had a long history of being painted since it was sought out by artists in search of ‘the sublime’. Katharine, since this exhibition at Leeds University, has continued to be identified as an artist with Gordale.